This entry was contributed by Kevin Smith, on August 18th, 2015 at 4:26 pm and is filed under Community Partnerships, Diversity, Outreach Methods. The story was more than just a display of the difference in the two cities, but a difference in the culture. Transportation is as much a part of the cultural DNA, as any other facet of life. However, because the transportation culture isn’t often challenged, we don’t spend a lot of time thinking about it. Large cities within the southern region of the country have been experiencing the growing pains of providing services to an ever-growing number of people. Further, it goes beyond providing an increase in existing services, but creating new services with options. How people decide upon their transportation is woven into the fabric of a person’s DNA, and should be considered when engaging the community. Transportation choices are as much about the make-up of a community as the home they live in. As more and more cities in the south are faced with the difficult task of providing a diverse form of transportation for a diverse population, there should be an understanding of the impact on the existing culture. It’s more than the nuts and bolts of the infrastructure, the analysis of ridership, or the perception of coverage. Transportation options impacts citizen’s day-to-day decision-making. In order to effectively engage citizens around the subject of transportation, it should be understood that changing the culture takes quality time, sincere engagement, and high levels of trust. Kevin A. Smith is a native of Laurinburg, North Carolina. After receiving a Bachelor of Arts degree from Wake Forest, and a Masters in Public Administration from the University of North Carolina at Pembroke, Kevin dedicated himself to public service, and has worked in a variety of capacities with a focus on customer service. Currently, Kevin is working for the City of Raleigh in the Housing and Neighborhoods Department. Kevin’s day-to-day focus is on citizen capacity building, leadership training and asset based community development for the city of Raleigh. Kevin’s efforts to build strong neighborhoods have been featured in local and national publications. Beyond professional work, Kevin has served on a number of boards including, Wheels 4 Hope, Mr. Robbins Neighborhood. Kevin is married to Jamila Mendez Smith, and they have two children, Makeda and Khalif. Kevin currently resides in Garner, NC. You made some wonderfully relevant points in this post. 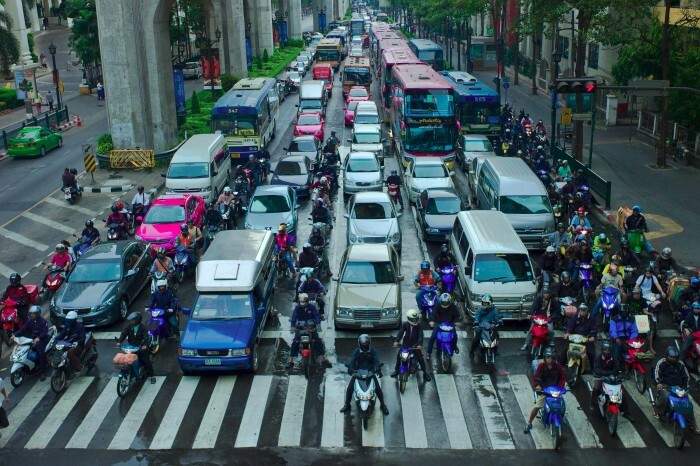 Transportation choices are definitely the result of cultural influences – many of which show up nowhere in our many analyses of the quantitative data used to make funding decisions. I worked in a rural community managing trail, greenway, and bike projects for several years in NC, and we were always astonished to see how differently we viewed alternate forms of transportation than those in more urban areas. Grant applications, for example, wanted to see connectivity of commuting bike routes and projected route ridership, while we just wanted to get a mile or so where people could take their bikes for recreation – because in the mountains, “who’s driving?” is a pretty unavoidable question, unless you have time to do a 30-mile bike ride to work every day. Wonderful post – I appreciate your thoughts on this and wish you luck in keeping these kinds of cultural issues at the forefront of transportation planning where you live!